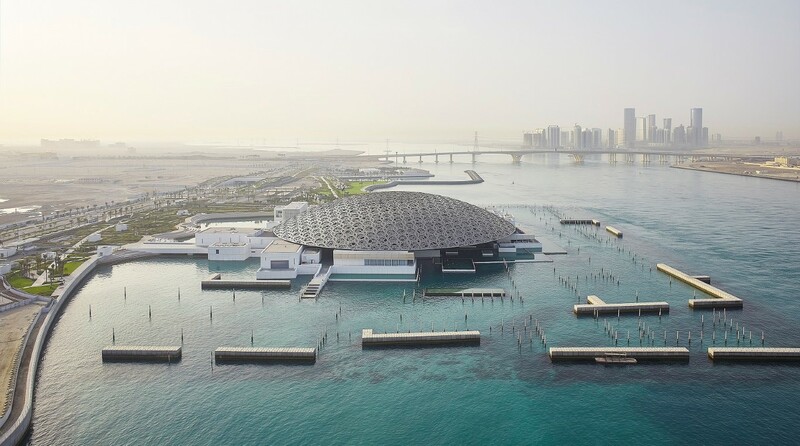 ABU DHABI, 10th November, 2018 (WAM) -- Today, Louvre Abu Dhabi announced that it has welcomed more than one million visitors in its first year, establishing itself as one of the leading cultural institutions on the global stage. Commenting on the first anniversary of Louvre Abu Dhabi, Mohamed Khalifa Al Mubarak, Chairman of the Department of Culture and Tourism – Abu Dhabi, said, "One year ago we spoke about Louvre Abu Dhabi as Abu Dhabi’s gift to the world – and today we are proud to have shared it with more than one million visitors already. Louvre Abu Dhabi has become an icon and a favourite destination in Abu Dhabi both for our local communities and visitors to the city. Our strong collaboration with our French and regional partners supports the museum’s mission to tell universal stories and we thank them. Yet our greatest success, 10 years in the making, is the next generation of Emirati museum professionals who are trained to the highest standard in the cultural sector and are leaders in their field." 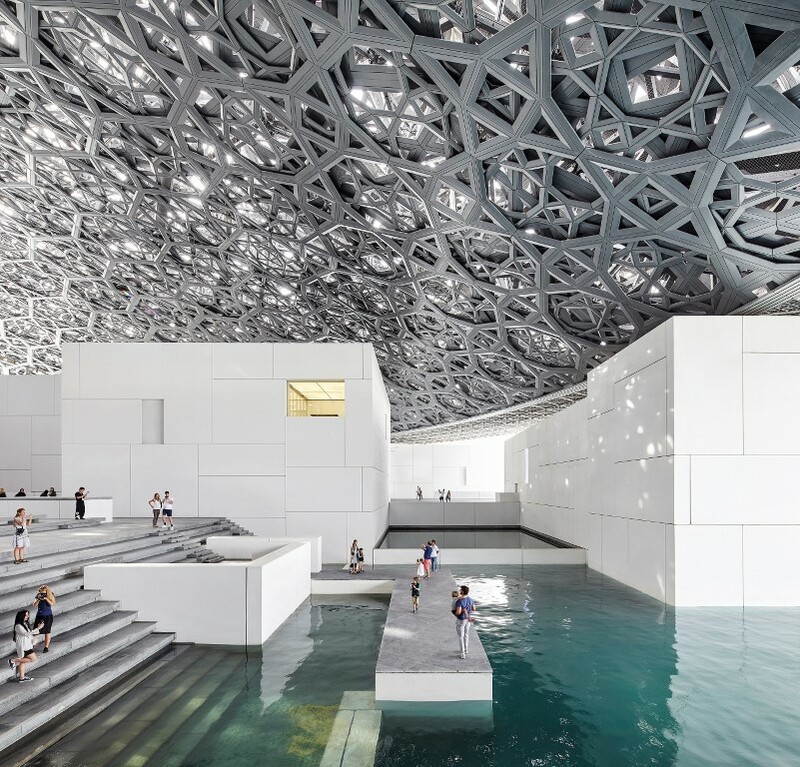 "Louvre Abu Dhabi’s vision is to celebrate cross-cultural connections that transcend geographies and civilisations, to see humanity in a new light. The diversity of Louvre Abu Dhabi’s audiences not only reflects Abu Dhabi’s multicultural society, but also illustrates how its ambition and universal narrative, which aim to create bridges between cultures and nurture dialogue between communities, appeal to many, from seasoned art enthusiasts to younger audiences and families," he added. UAE residents represent 40 percent of the museum’s total number of visitors. Emirati nationals are in the top two nationalities of residents who visited the museum and is the top nationality of repeat visitors. The museum has 5,000 members to its loyalty programme (Art Club). Louvre Abu Dhabi has also become a global magnet for international visitors who account for 60 percent of visits. 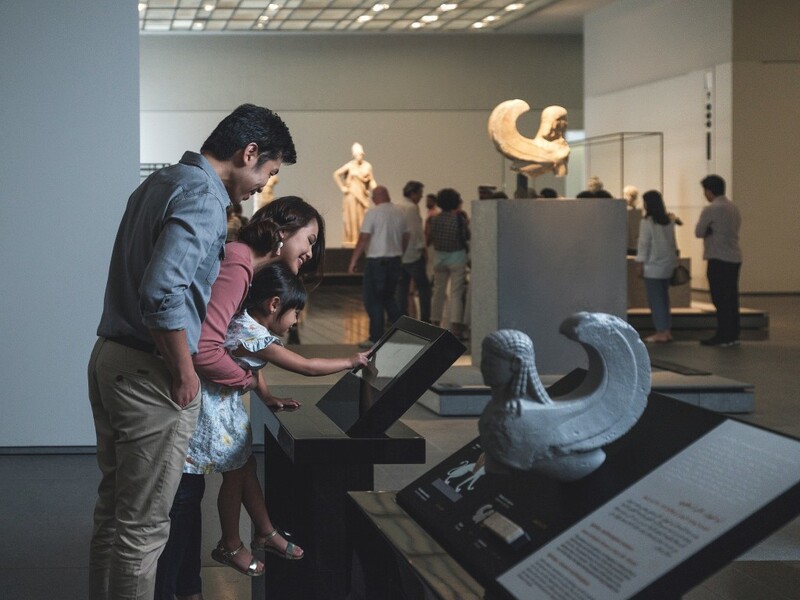 The museum is driving tourism to the Emirate, and visitors comes from all parts of the globe, including the Middle East, Europe and Asia, with France, Germany, China, UK, the US, India and GCC being the top visitors. Overall, India is the top nationality of visitors, including Indian tourists and UAE residents. The museum has hosted more than 1,000 school trips, 5,000 guided tours, workshops and masterclasses, and programmed 115 special events from Bait Al Oud performances to talks, film screenings and concerts with more than 400 artists from 22 countries including a major show by British pop star Dua Lipa to celebrate its one-year anniversary on 11th November. The Manga Lab, a special space to experience contemporary Japanese culture, has been popular with teenagers and young adults and is open until 5th January, 2019. 47 percent of the museum’s staff members are Emirati and a strong group of talented up and coming Emirati curators are working on the collection and in the permanent galleries, as well as in the education and mediation teams. In turn, Manuel Rabate, Director of Louvre Abu Dhabi, said, "From the beginning, this project has embodied Abu Dhabi’s bold vision and we have endeavoured to offer experiences that celebrate human creativity in our galleries and programmes. Not only are we privileged to gather such treasures under our iconic dome on Saadiyat island, but we are also thrilled that so many visitors came to discover our universal narrative this year." Since its opening on 11th November, 2017, in partnership with French museum partners and as part of its first season "A World of Exchanges", Louvre Abu Dhabi has presented four international exhibitions: From One Louvre to Another: Opening a museum for Everyone, Globes: Visions of the World, Japanese Connections: The Birth of Modern Decor and Roads of Arabia: Archaeological Treasures of Saudi Arabia; as well as CO-LAB, an exhibition showcasing new commissions by UAE-based artists in collaboration with French manufacturers. The museum also presented family-friendly exhibitions in its Children’s Museum, Traveling Shapes and Colours, and the recently launched Animals: Between Real and Imaginary. This autumn, Louvre Abu Dhabi unveiled 11 new world-class acquisitions in its permanent galleries, alongside new significant loans from 13 French partner institutions as well as regional and international museums. The museum curated a major rehang of its modern and contemporary art galleries, updated its displays, and showcased approximately 40 new incredible masterpieces for all visitors to discover and explore in the forthcoming year. Some major loans, including Leonardo da Vinci’s La Belle Ferronniere from Musee du Louvre and Whistler’s Portrait of the Artist’s Mother from Musee d’Orsay will stay in Abu Dhabi for another year, totalling 300 loans on display. For his part, Jean-Luc Martinez, President-Director of Musee du Louvre and President of the Scientific Council of Agence France-Museums, said, "The exceptional collaboration between the French museum partners and our colleagues in the UAE is at the heart of this success, not only thanks to the quality of the 300 loans exhibited alongside an already rich Emirati collection but also due to the ambition of the exhibitions of international quality organised successively in partnership with French museums." During its anniversary weekend, Louvre Abu Dhabi is hosting a two-day symposium, Worlds in a Museum, in collaboration with Ecole du Louvre, addressing the topic of museums in a globalised world. The symposium brings together leaders in the field to discuss contemporary museography, as well as the challenges and opportunities for museums in a new globalised world. The symposium explores the DNA of Louvre Abu Dhabi as the first universal museum in the Arab world and a new member of the international museum community. Speakers include Sheikha Mai bint Mohamed Al Khalifa, Minister of Culture in Bahrain; Mohamed Khalifa Al Mubarak, Chairman of the Department of Culture and Tourism – Abu Dhabi; Henry Kim, CEO of Aga Khan Museum; Francois-Rene Martin, Head of the Research team at Ecole du Louvre; Hartwig Fischer, Director of the British Museum; and James Cuno, President and CEO of J. Paul Getty Trust; and Martinez. This winter, visitors are invited to join the museum’s Rain of Light Festival from 11th - 15th December, 2018, a performing arts festival celebrating Louvre Abu Dhabi’s first season, A World of Exchanges. Next year, two flagship international exhibitions will be presented: Rembrandt and the Dutch Golden Age: Masterpieces of the Leiden Collection and the Musee du Louvre from14th February to 18th May, 2019, and the photography show Opening the Album of the World, Photographs 1842-1896, in partnership with Musee du quai Branly – Jacques Chirac on 25th April to 13th July, 2019. For its next season, Changing Societies, Louvre Abu Dhabi will present four international exhibitions and a new exhibition in the Children’s Museum.